Standing out amid the flower crowns at this year’s Coachella? The headwear of noted Auburn fashion icon Leonardo DiAuburnCaprio. I don’t care what the Academy says–give that man an AUscar! Can’t see the video? Try here. Leo’s Auburn hat first hit the Internet in 2010. In 2011, he wore it to a soccer game. The last sighting was on the streets of New York City in 2013. 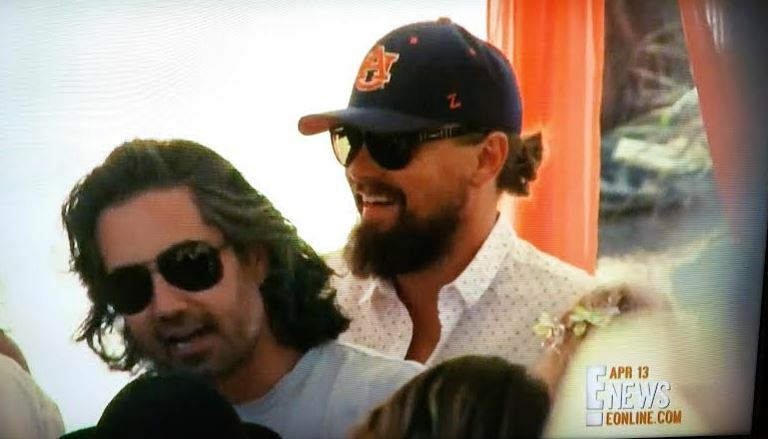 Other celebrities in Auburn stuff: Dr. Dre, John Travolta, Thierry Henry, Willie Nelson, Zac Efron, Naya Rivera, Molly Sims, Jason Segel, Joe DiMaggio. Related: Leonardo DiCaprio and his Auburn hat are back—this time on the streets of New York City. * Did Auburn students celebrate Bear Bryant’s death by rolling Toomer’s Corner?